A 31-year-old woman whose husband was arrested last month on suspicion of assaulting their 10-year-old daughter just before the girl's death was detained by police Monday for allegedly failing to stop the attack, investigative sources said. Her husband, Yuichiro Kurihara, 41, was arrested on Jan. 25 after the daughter Mia was found dead with bruises in the bathroom of the family's house in the city of Noda, Chiba Prefecture, the previous night. An autopsy failed to identify the cause of the girl's death. 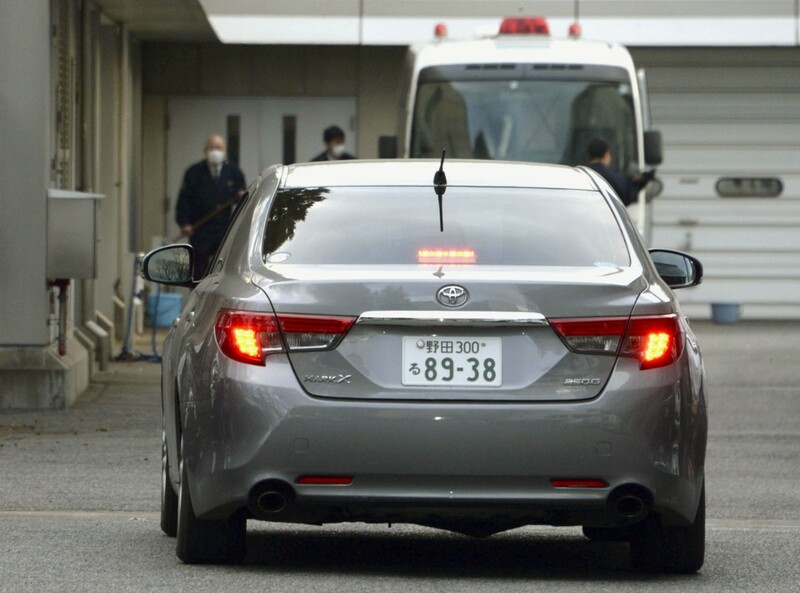 The mother, Nagisa, is suspected of failing to stop Kurihara's assault on Jan. 24, which allegedly included dousing Mia with cold water from the shower. Investigators have been informed that the mother herself may have been a victim of domestic violence. The police are believed to have factored in that possibility in examining her involvement in the alleged assault, according to the sources. Mia lived with her parents and 1-year-old sister. The police believe the mother's failure to stop the father's alleged assault against the girl constitutes a crime, the sources said. "If the mother was also being abused by her husband, I wonder whether (the woman and her two children) could not have fled," said a woman in her 20s living in the same apartment building as the family. The mother has told investigators that Kurihara did not stop his pattern of abuse despite her pleas, such as waking Mia up and making her stand for a period of time in the middle of the night, according to the investigative sources. According to the city of Itoman in southern Japan's Okinawa Prefecture, where the family lived before moving to Noda in August 2017, its officials were alerted by a relative of the family in July the same year that Mia was frightened of her father and that Kurihara was acting violently toward the mother. The girl had told her friend in Itoman that she would be hit by her father if her mother was not around. Mia had reported to her school in Noda in November 2017 that she was being "bullied" by her father, who used "violence" against her. A note taken by her classroom teacher after hearing from Mia said the mother was subjected to violence when they were in Okinawa. Following the report, Mia was taken into protective custody for seven weeks at a child welfare center but after this period, no visits were paid by officials of either the center or school to her home to check on her safety. "Honestly, I am very surprised" about the latest arrest in the case, said an official of the child welfare center in Kashiwa, adjoining Noda. The mother had told the center she had tried to stop her husband from abusing her daughter. The Noda city education board has admitted to having handed a copy of Mia's report of abuse to the father in January 2018, yielding to Kurihara's request due to his "intimidating demeanor." The handover of the copy has drawn criticism from child welfare experts who argue it may have aggravated his physical abuse of the girl. Mia's death comes at a time when the Japanese government has pledged to improve measures to prevent child abuse following the death of 5-year-old Yua Funato in Tokyo in March last year. Insufficient information sharing between public entities was seen as a factor behind the high-profile abuse case.